No matter how great of a driver you are, there is a chance that you will be in a car accident at some point within your life. Accidents happen, and regardless of whether they were your fault, someone else’s fault, or were an “Act of God” accident, you need to know how to protect yourself when filing a car insurance claim. They say that the average for someone to be involved in a collision of some kind is every 7 years. 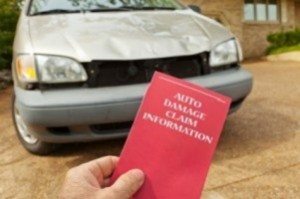 Use this blog as your personal guide to filing a claim, what to use, and how to protect yourself from things like rising rates, being dropped by your insurance, or completely destroying your reputation with your company. 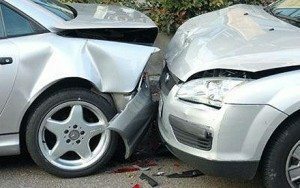 Here at Collision Center of Andover, we offer Insurance Claim Assistance – various car insurance companies have partnered with us to fast track vehicle repairs. More information may be found here. When should I file a car insurance claim? It doesn’t matter if you were in an accident with another person, a tree, or a golf-ball sized piece of hail, you need to contact your car insurance company ASAP after a car collision. Do not wait a few days, especially if it makes your car inoperable or unsafe to drive. Remember that you will also need to file a car insurance claim if your vehicle is vandalized, stolen, and damaged from a non-accident event. 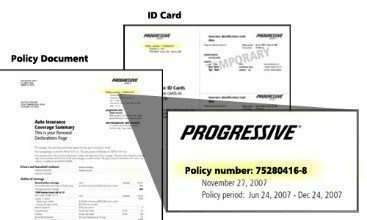 If you are having trouble finding your insurance agent’s number, you should simply look at the front of your insurance card. If your card isn’t available (due to an accident or if it was ruined in a fire), you should also be able to look online. What will I need when I file a car insurance claim? Your full name and policy number (look on your insurance card or statement). The timeframe of your policy. Date, time, and location of the incident. Names, addresses, and phone numbers of all drivers, passengers, and witnesses. Driver’s license and license plate numbers for all drivers. Depending on the accident and your insurance company, you might also have to fill out a sworn statement of the event. You should also take photos of the damages, the injuries, and the license plates. A professional at the car insurance company will look at your claim and discuss where to take the case from there. Often, the second step is to meet with the claims professional to talk about what happened, what your company covers, and where to go from here. The claims professional will come look at your car (usually at a collision center), examine any of the injury claims, and then make an initial payment. The company will then see that whatever plans they made in the first few steps are followed up and payments are dispense. If you are able to file a car insurance claim for vehicle repairs and the damages that you make, you should know that while many states require property damage coverage, that doesn’t cover your own car. It does, however, cover the other person’s car. Uninsured motorist damage – this type of insurance helps to pay for your car when the driver that you hit does not have insurance. Gap insurance – covers the difference if you have a leased or loaned car and it is totaled. Glass coverage – replaces the “glass” that can be ruined during an accident – windshields, mirrors, or windows. DO read your car insurance policy when you first sign up for it. DO NOT wait for an accident to know what your policy covers. DO contact your insurance company as soon as possible. DO NOT wait a few weeks or “feel out” how much it will cost you. DO be honest with your insurance company about the state of the accident. DO NOT try to hide any details, as that could forfeit your rights to a claim. DO gather information about your accident. Including photos, contact information, and the insurance information of the other person. DO NOT volunteer information to police officers. Answer the questions, but STICK TO THE FACTS. DO keep records of every communication you have with anyone involved in the claim and the accident. 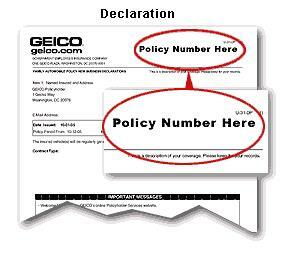 DO NOT sign waivers or releases without talking to your insurance company. DO save receipts and bills for what you have paid for your claim. This includes repair work, medical treatments, and other losses. DO NOT admit liability, even if you were at fault. No matter what, if you are in an accident, Collision Center of Andover will be on your side and try to help get you back into your car as soon as possible. Whether the accident just resulted in a few dents or whether you will need major repairs, we can help you out. With many years of experience, we will be able to work with you and your insurance company to get the best possible results. Simply contact us today or give us a call at 316-733-9310 to get started! Winter is Coming: Is Your Vehicle Ready? Oh deer! What happens AFTER I hit a deer? Trust your vehicle to the collision experts. Collision Center of Andover is an independently-owned auto repair shop providing outstanding service with a lifetime guarantee on our workmanship. Whether you need service or repair on your car or truck, we will tell you upfront what will be done before we get started. Contact us today to get your vehicle back in perfect shape and back on the road! Our full-service, state-of-the-art repair shop serves communities in and around Wichita. We are conveniently located just a couple miles east of Wichita at 948 N. Andover Rd. just off I-35 in Andover. Call us today at (316) 733-9310. Can’t drive to us? Contact our convenient towing service available 24/7 in Sedgwick County and Butler County. Call (316) 719-2100. From US - 54 E, take S. Andover Road South (left). 948 N. Andover Road is 1.66 miles on the right.